A survey of the main elements of the Revitalized Agreement on the Resolution of the Conflict in South Sudan assesses prospects for implementation, and offers insight into the fragile politics underlying the moratorium. Sudan’s legislative assembly ratifies the R-ARCSS. The signing of the Revitalized Agreement on the Resolution of the Conflict in South Sudan (R-ARCSS) by the longtime rivals Salva Kiir and Riek Machar in Khartoum in September 2018 was hailed as a breakthrough for reversing the brutal civil conflict that has cost an estimated 400,000 lives and displaced more than 4 million people since its onset in December 2013. This analysis, organized broadly along the main elements of the Agreement, assesses developments since the signing and prospects for implementation moving forward. There are three noteworthy features of the ongoing fighting. 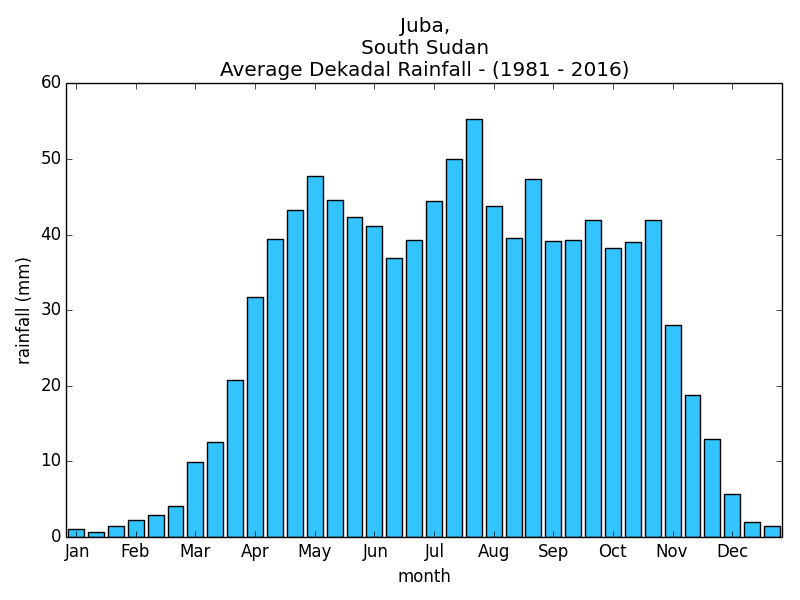 First, while the efforts of the parties to publicly show commitment to the Agreement is likely a factor when it comes to the current lower levels of violence, it is also important to recognize that the rainy season in South Sudan (traditionally between May and January) often sees a reduction in larger scale operations as roads become impassable. The height of the dry/fighting season (March through May), will therefore be a better test case of the parties’ commitment to reduced fighting. Second, ongoing fighting appears to be largely government offensives against populations deemed to be “anti-government.” Government offensives have, since 2014, displaced significant populations from Upper Nile, Jonglei, and Central Equatoria. The fighting is linked to the control of land resources, but it also changes the demography of these areas. Reducing the presence of people expected to vote against the government in any election is likely an additional aim of these current offensives. Third, recent operations have apparently been conducted jointly between government militias and opposition forces allied to Riek Machar. These offensives have targeted non-signatories to the Agreement, specifically Thomas Cirillo’s forces in Central and Western Equatoria, and appear to have the tacit backing of regional actors, particularly Uganda. Together, these three factors point to the likelihood of ongoing offensive operations, largely by the government, at low to moderate levels, through to the dry season 2019. This is particularly likely if Intergovernmental Authority on Development (IGAD) sanctions on military operations continue to remain muted, signaling to the government of South Sudan that there is little political consequence for continued fighting. (This situation is rendered more likely by the demonstrated difficulty in producing timely monitoring and reporting on CoHA violations.) Thereafter, assuming that Thomas Cirillo remains outside of the Agreement, there are likely to be renewed larger-scale military offensives in Central and Western Equatoria under the pretext of establishing the security provisions of the Agreement and eliminating “spoilers.” Uganda may seek to use these government operations as a justification to move additional forces into Equatoria and actively engage in counter-opposition operations, as it did in 2014. If Uganda moves forces into Equatoria, this would foreseeably create an incentive for Sudan to increase its security presence in the north of the country, particularly northern Unity State and the eastern bank of Upper Nile. These two locations are of specific interest to Sudan both for the presence of oil infrastructure and as the historical support bases of Sudanese opposition groups, including the Justice and Equality Movement and SPLA/North. Current tensions over cantonment are already beginning to take shape. In 2015, after the signing of the ARCSS, cantonment sites were a significant source of tension that led to open clashes between government and opposition forces and were one of the factors behind the collapse of the Transitional Government of National Unity in July 2016. Current tensions over cantonment are already beginning to take shape. Machar has, as of early December 2018, ordered his forces to begin forming in cantonment sites. No reciprocal order appears to have been issued to government forces. This is indicative of a fundamental mismatch in incentives between the parties to the Agreement with regard to cantonment. Machar (as well as the leaders of other opposition groups) has various incentives to canton forces. First, cantonment is a directive of the Agreement. He would therefore be acting in accordance with the provisions and accrue positive political “points” for compliance. Second, Machar has struggled to provide resources for his existing forces. Cantonment would potentially attract resources—food and medication—that his forces previously lacked. Third, cantonment has been an incentive for additional opposition recruitment, as being in a cantonment site is perceived as the first step in the process of formal inclusion into the army. Machar will use this perception to attract additional forces to bolster his political position and to leverage any future efforts to combine government and opposition forces into a single military (see more below). Fourth, cantonment provides the opposition with the opportunity to concentrate and pre-position forces in strategic locations. This was a crucial concern of then-SPLA Chief of Staff Paul Malong that led him to attack Machar’s cantoned forces in Maridi, Western Equatoria, in February 2016 and near Wau in April 2016. Members of South Sudan’s National Security Service. Moreover, Kiir does not want to pay for the cantonment process. Even if the government had the resources to fund cantonment (which, if implemented in accordance with the Agreement, would likely require food, medical supplies, housing, and services for between 200,000 and 300,000 personnel), Kiir will not provide resources for Machar’s forces. International donors are unlikely to step in on the scale required and take responsibility for housing and feeding thousands of individuals implicated in extensive human rights violations at a time when the general humanitarian budget is under pressure. Given these opposing incentives, the most likely scenario involving cantonment is a repeat of 2016 whereby the opposition attempts to start cantonment in various locations, which results in tensions escalating with government forces. Insufficient funding for the sites leads to an incomplete process which becomes a key point of contention between the parties. Failure of cantonment also then becomes a pretext for delays in the implementation of the integration of the forces and other military reforms. This was a major point of contention in the implementation of the ARCSS in 2015. Given that the government currently holds all principal urban areas, it has little incentive to comply with this provision as it would be seen as potentially providing an advantage to the opposition in the event of a return to large-scale fighting. It is therefore likely that some government forces will seek to blend into the civilian population by removing their uniforms to create the perception of a reduced military presence, particularly in Juba where there is more scrutiny from international observers. The police serve as a reserve force where army personnel are placed to further distort perceptions over troop numbers. Some forces may be relocated outside of Juba in a public show of “demilitarization,” as occurred in 2015. However, these forces are likely to be small in number and not permanently reassigned. The army will maintain the ability to rapidly control the entrances and exits from cities—particularly Juba—and will remain on high alert for urban combat with air support, as occurred in July 2016. Key points such as the Presidential Palace, the airport, and the SPLA and NSS barracks in town will not be subject to demilitarization rendering the concept effectively meaningless and raising tensions with opposition leaders expected to return to Juba for the formation of the new transitional government. The Agreement envisages both a merging of government and opposition forces into unified services and a reform of those forces through training. Sudan and Uganda foresee an active role in overseeing this process. However, a full merger of government and opposition forces would undermine Dinka control of the security sector by the (re)inclusion of large numbers of Nuer, Shilluk, and Equatorians, meaning there is limited government incentive to pursue full integration. The parties are likely to publicly promote the idea of a complete merger, however, presenting the lack of progress as the result of insufficient resources to pressure donors and to forestall criticism. This leaves two possible scenarios: partial integration or no integration. Partial integration. This would likely involve government forces attempting to further the integration of armed groups already affiliated to the government, such as the former-SSLA group under Mathew Puljang in Mayom (already associated with SPLA Division 4 in Bentiu) and the forces of First Vice President Taban Deng Gai. (Government support is likely to be tempered by doubts over the loyalty of these groups, however.) The government’s aim in this partial integration would be to increase central control over these forces. Opposition groups such as the Agwalek forces under Johnson Olony may be invited to camps to begin the process of integration, but few resources will likely be committed given the lingering suspicion (and anger) from Olony’s defection from the SPLA in 2015. 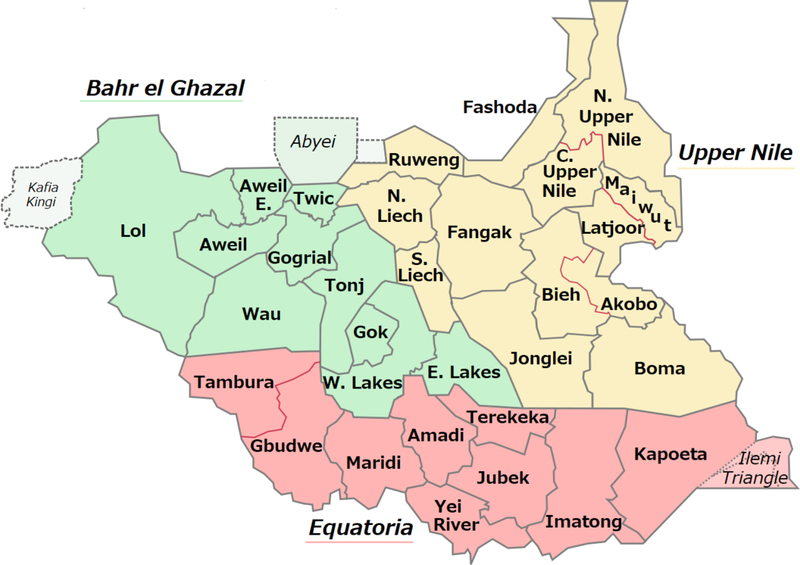 South Sudan Opposition Alliance (SSOA) forces, such as those of Hussein Abdelbagi in Aweil, will likely also be offered partial integration (and financial inducements) with the aim of further increasing the growing disagreements and divisions within the SSOA. No integration. Most signatories to the agreement maintain some associated militia forces. Indeed, their perceived control over armed militias was what motivated their inclusion in the Agreement in the first place, so maintaining that military leverage is viewed by many as crucial to their continued inclusion in the political processes. These militias also provide security for individual political figures and defense of their associated communities against attacks from untrusted government forces. Political relevance and community defense are, therefore, strong incentives to avoid integration of these units into a single force if that integration threatens the interests of the associated faction. The prospect of receiving formal ranks and pay may be used as an inducement to overcome these reservations. However, these incentives had only temporary success in the past when payments have been sporadic and benefits failed to materialize. At the same time, the militias did not want to have their ranks and command structures broken up. These issues undermined prior integration efforts in Western Equatoria and Jonglei. The key elements of the power-sharing provisions of the Agreement pertain to executive authority and the expansion of the number of vice presidents. In theory, these would bring together various parties to the conflict to oversee peace implementation. This expansion in executive positions is promoted by the guarantors of the Agreement—Sudan and Uganda—as necessary for inclusivity and diversity in an effort to establish “buy in” for implementation. However, the power-sharing provisions also raise concerns over the potential ineffectiveness of decision making, the concentration of power in the presidency, and the potential for deadlock and disagreements between the parties. There are three broad scenarios for power sharing: full, partial, and no implementation. There is a high likelihood that Kiir will continue to rule largely by decree, excluding and marginalizing members of the executive he does not wish to work with—and in some cases holds deep enmity toward—particularly Machar and whomever the eventual SSOA vice president is (possibly Lam Akol or Gabriel Changson). Kiir will prioritize the restructuring of the SPLM (likely to occur in early 2019) and the exclusion of formerly high-ranking members of the party, including Machar, Pagan Amun, and members of the Former Detainees. Control over the party is necessary for Kiir in the event that elections are held, as it distances his main rivals from the legacy and “brand” of the SPLM and the independence struggle that Kiir exploits as “father of the nation” and heir to John Garang. (Kiir has sought in recent years to represent the independence war against Sudan as having been “led by Dinka,” which has caused significant discontent with long-standing SPLM/A members.) This will significantly increase tension among the members of the executive. Collective decision making is highly likely to break down, leading to accusations of noncompliance from all parties. This will become particularly evident over issues of constitutional reform and preparations for and oversight of elections. Comparatively small issues, such as appointments to various government positions, will be used as opportunities to delay and frustrate implementation in an attempt to blame rivals. There will be significant funding pressure arising from the salaries and resources needed for the executive. Given that there will be at least six high-level VPs in the government, including one president and five vice presidents, provision of VP protection places a further drain on government resources, as each party will seek a degree of parity in their security arrangements. This will, in turn, lead to complex and tense interactions if and when all members of the executive meet in a single location. Machar is, according to the Agreement, to stand in as head of the government in Kiir’s absence. Kiir is likely to avoid this provision by not traveling outside of South Sudan while Machar is also in country. However, if travel becomes unavoidable (for example, due to a medical emergency), there is likely to be a violation of the Agreement if Kiir appoints another stand-in. There is deep uncertainty about the issue of succession in general, especially given the number of vice presidents. In the event that Kiir is incapacitated, there is no clear plan for succession. Therefore, the probability of violence breaking out in Juba is exceptionally high. Scheduled elections will be a major source of tension. There is uncertainty among all parties about the outcomes of free and fair national elections, which creates considerable incentives to attempt to influence and control the processes around voting and monitoring. There may also be incentives for further military operations in areas where the parties feel voters are more likely to reject them, particularly in the Equatorias, Unity, and Upper Nile. Partial power-sharing. Partial power-sharing would eventuate if only some of the signatories to the Agreement took up their posts while others decided not to return to Juba but maintained their status as parties to the conflict. This may well happen with Machar, for example, if other provisions—particularly those pertaining to security—are not implemented. It is the most likely path forward based on the recent history of the ARCSS. Under this scenario, Kiir would seek to create the perception of implementation with the cooperation of those who did take up their posts, while continuing to interpret the Agreement in ways favorable to his interests and, when required, rule largely by fiat. In this scenario, Kiir would reinforce previous decisions—such as the unilateral decree dividing the country into 32 states—while continuing to attempt to create conditions advantageous to his re-election. This scenario, in essence, most closely resembles the status quo since July 2016. No implementation of power-sharing. The third scenario is that the power-sharing provisions of the Agreement break down before any implementation. This could occur if the security conditions deteriorate rapidly, resulting in the other signatories being unwilling to return to Juba. No implementation of power-sharing would equate to the complete unraveling of the Agreement and likely signal an immediate return to larger-scale fighting. The crisis could be triggered by, for example, attempts by the government to unilaterally end the pre-transitional period by forming a “unity” government by appointing individuals to the positions outlined in the Agreement who are not the leaders of the current opposition and declaring those who have not returned “spoilers,” along the lines of what occurred in July 2016. Of these, the first two—state boundaries and financial transparency—are likely to be the earliest indicators of the viability of the Agreement. The State’s boundaries. Kiir’s unilateral decision to increase the number of states from 10 to 28 and then 32 was a significant factor in undermining the 2015 Agreement. The decision had a profoundly negative impact on conflict dynamics. 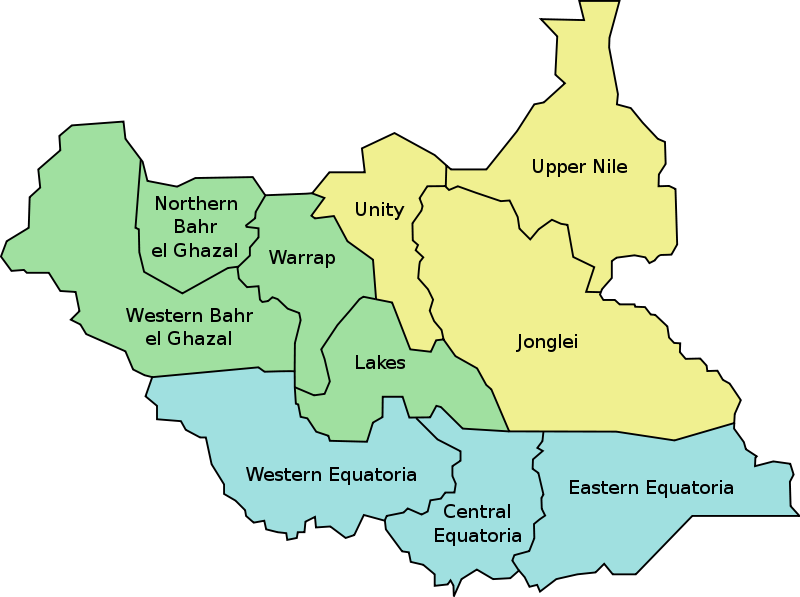 One outcome of the redrawn boundaries was the partitioning of large parts of the country more starkly along tribal lines, with Dinka (estimated to account for 35 to 40 percent of South Sudan’s population) claiming majority representation in at least half of the redrawn states. The new boundaries in Upper Nile, for example, were viewed as granting historically contested territory—particularly the city of Malakal—to Kiir’s allies, the Dinka Padang, at the expense of the Shilluk. Similar grievances occurred in Wau and parts of Unity. Kiir has consistently resisted revision of his decree, as he views it as a crucial outcome of the war that furthers his (and the Dinka’s) control of the country. As of December 2018, indications suggest that Kiir continues to reject any negotiation on this point, despite the provision of an independent boundary commission in the Agreement. There is, consequently, a high likelihood that the boundary issue will remain unresolved. The Agreement indicates that, in the event of continued disagreement, a referendum on the states issue is to be held. A referendum is not feasible in the current environment, especially as it would coincide with the end of the pre-transitional period. The states issue will remain a grievance that exacerbates tensions and is utilized to mobilize resistance to Kiir’s government. Financial transparency. The formation of financial transparency and anti-corruption mechanisms are prominent features of the Agreement, including a particular focus on transparency of oil revenues and expenditures. Transparency is, however, antithetical to the interests of most of the signatories of the Agreement. One of the key motivations of the guarantors of the Agreement has been the continued appropriation of South Sudanese resources through opaque or, in some cases, publicly undisclosed deals. In addition, the power-sharing provisions in the R-ARCSS rest to a significant extent on “buying off” opposition with positions that give access to resources for personal appropriation. The institutional reforms of the Agreement are intended to make this impossible, thereby giving many parties an incentive not to implement them. One of the central motivations of the parties and guarantors to sign the Agreement was the deteriorating economic condition of the elites in South Sudan and Sudan. 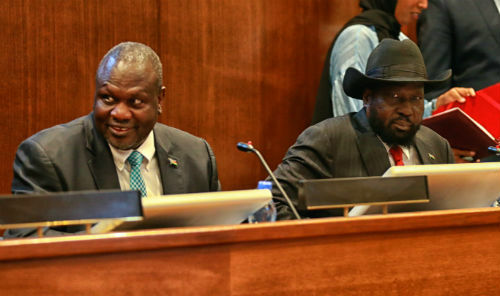 Through the Agreement, South Sudanese elites sought to secure their continued access to the revenues of South Sudan’s resources, while Sudan’s leadership sought to prop up its ailing economy ahead of elections in 2020. Uganda—particularly interests associated with President Yoweri Museveni and his family—continues to profit from the exploitation of natural resources. The incentives of the various actors (and their patronage networks) to participate in the Agreement are, therefore, linked closely to the distribution of revenue each party anticipates from the deal. Should oil prices fall during 2019, as many analysts predict, then the expected income of the parties would be affected, reducing their incentive to remain in the Agreement. Aside from the economic volatility associated with variances in oil prices, there is considerable uncertainty surrounding South Sudan’s debt and resource obligations. Many outstanding government loans are likely based on future oil commitments. The complex network of deals secured against expected oil returns, both public and undeclared, and South Sudan’s noncompliance with aspects of agreements with previous financial providers (such as commodity trader Trafigura) has made many traders wary of engagement in South Sudan. This has led to increasingly predatory trading activities in the past two years, with traders and intermediaries prioritizing short-term profits. The immediate impacts of these deals for the Agreement are uncertain. But one almost-certain outcome is that South Sudanese government revenues will continue to be low, as most of the income from oil has already been committed—either through licit or illicit arrangement—prior to reaching government coffers. There will continue to be high demands on donors to compensate for misused resources and accusations of the international community failing to sufficiently support the Agreement when external assistance is not enough to cover the shortfall. The government is in the process of attempting to offset its low revenues through the development of a taxation and revenue authority. According to sources in Juba, some senior figures associated with the revenue authority are also officers of the National Security Service with ties to NSS-linked businesses. This suggests that strengthening the revenue authority is less intended to increase resources for implementation of the Agreement but rather to provide funding for NSS activities and personnel. The government is highly unlikely to contribute any resources for accountability. No accountability. The parties to the Agreement ignore the requirement for the Hybrid Court and proceed without sanction—either disavowing it completely, or taking the position that it should be postponed until after the completion of the peace process and when elections have taken place, knowing that these conditions will not be met. Partial implementation. The government promotes a local accountability mechanism that focuses on “community reconciliation, forgiveness and compensation”, but avoids criminal accountability for senior level officials. It is unlikely that South Sudanese funds will be available for compensation as foreseen in the R-ARCSS therefore, in turning to international donors, the government would present this limited form of accountability as “locally owned” and the “only way of preserving peace.” Partial implementation effectively amounts to immunity for senior politicians and generals responsible for suspected crimes against humanity thereby entrenching elite control of the rest of the reform agenda and preventing meaningful change in South Sudan. The failure to implement broader criminal accountability would then all but ensure that the other elements of R-ARCSS would remain unimplemented as the elite would see few incentives to change from behaviors that have, to date, ensured their control over the political process. Dr. Klem Ryan was a member of the United Nations Security Council Panel of Experts from 2015 through to 2018, coordinating the Panel from 2017. He was with the UN peacekeeping mission in South Sudan (UNMISS) between 2013 and 2015. Africa Center for Strategic Studies, “Envisioning a Stable South Sudan,” Special Report No. 4, May 29, 2018. Godfrey Musila, “Instituting Accountability for Human Rights Violations in South Sudan,” Africa Center for Strategic Studies, Spotlight, May 7, 2018. Kate Almquist Knopf, “A Path to Justice in South Sudan,” Africa Center for Strategic Studies, Spotlight,” July 1, 2017. Kate Almquist Knopf, “Ending South Sudan’s Civil War,” Council on Foreign Relations, Center for Preventative Action, Special Report No. 77, November 28, 2016. Majak D’Agoôt, “South Sudan’s Stability Hinges on Controlling the ‘Gun Class,’” Africa Center for Strategic Studies video interview, July 26, 2016.